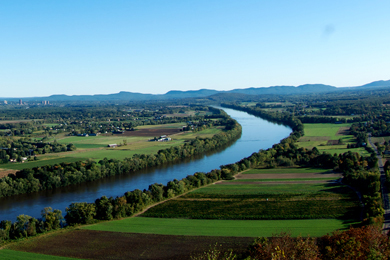 The Connectiut River Watershed Council is one of the country’s oldest watershed protection groups. 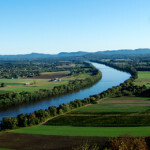 Formed in Greenfield Massachusetts in 1952, the Connecticut River Watershed Council is a non-profit organization dedicated to protecting and promoting the environmental health of the River, it’s tributaries and lakes and all of the flora and fauna that depend on the watershed for survival. Along with consulting and advocacy work, the Council offers river-related arts programs and recreational activities. In the sixty years that the Connecticut River Watershed Council has existed, major improvements have been made in water quality, there’s been a marked decline in industrial and human effluent and some species have made comebacks. However, the River’s delicate ecosystem is in constant flux. There is a tension between industrial, energy and development explotation of the river’s and the need for environmental restoration, protection and preservation. 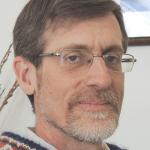 Andrew Fisk, Executive Director of the Connecticut River Watershed Council, works to balance the competing and conflicting environmental demands while ensuring the environmental integrity of the river and the critters that call it home. He’s worked on water and land quality issues for years. To learn about the Connecticut River Watershed Council, to see examples of their river-related artwork projects, and to find ways that you can help protect the river please visit their website at ctriver.org. 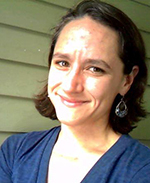 Science and Nature Writer Naila Moreira is based in Northampton MA. 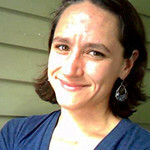 Her work has appeared in the Boston Globe, The Seattle Times and Science Times among others. She is also a writing counselor and lecturer at Smith College. Her nature writing has a sensuous and contemplative attention to the rhythms and pleasures of the natural world. She writes in a way that draws the reader into the fields, forests and landscapes of her work. Her work gently focuses on the hidden, the unnoticed, the overlooked of the natural world and offers deep reflection on our role in nature. On this show, she reads a selection about a walk she took along the banks of the Connecticut River, “Alaska Massachusetts,’ which first appeared in The Common, a literary magazine based at Amherst College. She talks about her writing, the sense of place, connection and belonging the Connecticut offers her and how writers can open themselves up to the natural world.